Evening seminar for those interested in nutrition, health & wellbeing. 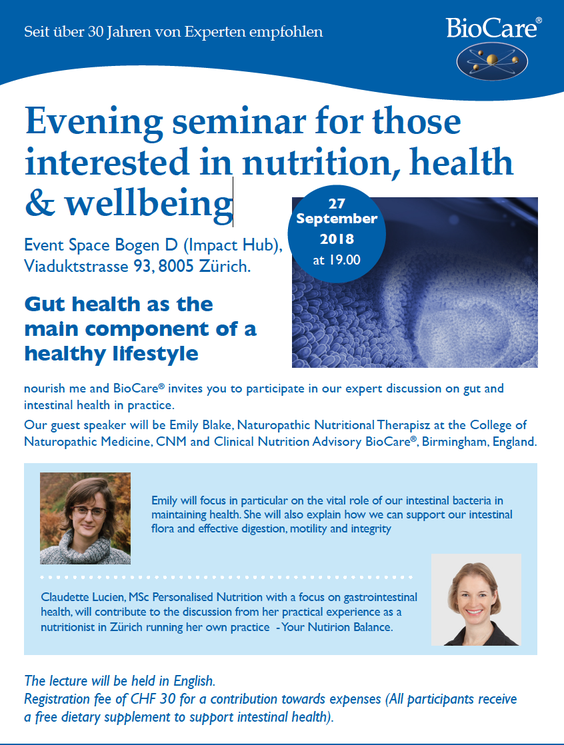 nourish me and BioCare® invites you to participate in our expert discussion on gut and intestinal health as the main components of a healthy lifestyle. The presentation will be held in English.